On Sunday June 28, 2009, Rev Tony Ponticello addressed the congregation at the Community Miracles Center in San Francisco, CA. What follows is a lightly edited transcription of that talk. I want to talk about the big news story of the week. It is frequently said that, in the entertainment industry, when somebody dies its always three people that die with in a short period of time. They always die in threes. On Tuesday June 23, 2009, at 86 years old, Ed McMahon died. Most of us know him from the thirty years that he was on The Tonight Show with Johnny Carson. That was from 1962 to 1992, thirty years as Johnny Carson’s sidekick. Thirty years saying “Here’s Johnny.” Not to be confused with Jack Nicholson when he said that in The Shinning. Ed McMahon also did lot of other things. Its good to acknowledge his life. Two days later Farrah Fawcett Majors died. She was only 62, quite a bit younger. She came to fame because she was one of the original Charlie’s Angels. She was only a Charlie’s Angel for one season. For that one year she became synonymous with Charlie’s Angels. I don’t know if you remember this now, but afterwards she actually went on and had a quite a fine dramatic acting career. She was on many television specials. She was nominated for five Golden Globe and four Emmy awards. She was in several movies in dramatic rolls. I remember seeing her in some. She was quite excellent. She was also, of course, a famous poster pin up. Farrah Fawcett Majors had one of the most famous pin up posters ever and millions and millions of women tried to emulate that hair do. How successful they were, we don’t know. Then synchronistically, on that very same day, just few hours later Michael Joseph Jackson died, He was only 50 years old, so they got younger and younger. Of course they’re still looking into the cause of his death, whether it had something to do with pain killers or other drugs he may have been on. There was a doctor right there in his presence. It is suspicious and right now the family is demanding a second autopsy. As we all know, Michael Jackson started out his career at a very young age. At eleven years old he was singing with his brothers in The Jackson Five. They had a tremendous career. He actually started producing solo albums just a few years after that, when he still a boy. 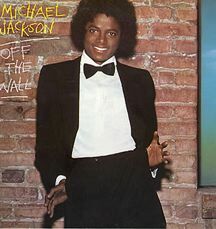 In 1980 he released a true break through solo album, when he now a young man, named Off the Wall. It became a tremendous, huge seller, but it was nothing like the incredible album that he was going to produce two years later in 1982 that was named Thriller. Until this day Thriller is still the best selling album of all time. Michael Jackson sold more Thriller albums than any other album by any other artist. Think about all the tremendous albums that we have had, all of The Beatles tremendous repertoire, Pink Floyd’s Dark Side Of The Moon ... no, Thriller. Thriller is the best selling album of all time. Michael Jackson revolutionized music videos. Up until Thriller and the music videos that he produced for it, VH1 never showed videos that were of African Americans. Michael Jackson’s videos were in such high demand they caused VH1 to break through that color barrier and show those Jackson videos. Think about it. That was 1982. It wasn’t that long ago and there was still that color barrier, that prejudice in VH1. Death of an entertainment icon is an unusual thing. Its unique a phenomena that happens. Entertainment icons are really no different than anybody else. They’re just people. Yet we focus in on those deaths. Somehow those deaths are more significant than the other deaths that are going on in countless numbers all the time. I tried to figure out how many people die each and every day. Thank god for the internet. You actually can find out information like this. You don’t know if these figures are correct or not, but you can find figures. The number I got was 146,000 people die every day. We don’t have 146,000 news stories of people dying. We have these three deaths and now especially this focus on Michael Jackson. Why? Such a focus on these three is certainly an indication of what A Course In Miracles tells us. There are some people that we hold special. We have this idea of specialness. These are special people. We follow them and we follow their lives. Their lives actually become a shared communication. They become part of this shared language that we speak in. This language unites people and entertainment icons’ deaths unite people around a shared experience. We share these deaths as symbols that we talk about. We can converse with many other people now, and we get, one more time, to look at death and what it means to us. So all things that appear to have life, here in this physical universe, seem to be born only to inevitably die. What A Course In Miracles wants us to get very quickly, and very clearly, is that this is madness. Its madness to think death is natural. Its actually an a insanity. “Insanity” is defined as a state of being seriously mentally ill. The fact that we see death means that we are all seriously mentally ill. If there was some sort of divine psychiatric evaluation what we might all be asked is if we think death is real. If we think death is real we get stamped as serious mentally ill. That would be our shared delusion. It’s very interesting to think this. I believe that is insight number one on death. That is the name of my talk today, “Death Insights.” What are the insights that I have about death? Insight number one is death is insane. Its a insane idea; its a insane illusion. ACIM wants us to accept that now. Of course, all that we can probably do, at the present time, is accept it intellectually. We’re probably not going to feel it, but at least that’s a start. At least we can accept the insanity of death and take it in as a start. A Course In Miracles again talks about death. It says. “This is regarded as ‘the way of nature,’ not to be raised to question but to be accepted as the ‘natural’ law of life. The cyclical, the changing and unsure, the undependable and the unsteady, waxing and waning in a certain way upon a certain path – all this is taken as the Will of God. And no one asks if a benign Creator could will this.” (Mn.Or.Ed.27.1) So we take death as natural. Death is part of nature. Everything born is only to die. I have spoken of this many times. Nature religions must be, therefore, insane religions because they all include death, life and death cycles, so they’re insane We have to ask ourselves, “Would a benign creator manifest this?” Is it really natural to have death? I looked up “benign.” “Benign” means, gentle, kindly, or not harmful. So a gentle God would not create death. A kindly god would not create death. A harmless God would not create death. If death is real, if we accept it, if we accept that nature is natural, then God is opposite of all those things. Then God is not gentle. God must be ruff, crude, and coarse. God is not kindly. He must be unkind and mean. If God is not harmless He must be harmful, hurtful – in fact he must be a sociopathic God. If he really manifested death, out there in the illusion, as something for us to deal with then He’s rough. He’s rude; he’s coarse. He’s unkind, mean, harmful, hurtful, and sociopathic. The second insight that I have, that has been sparked by the deaths of these three entertainment icons, is that if we make death real then God becomes, rough, mean, harmful, and truly psychopathic. We must ask ourselves, “Do we want this? Is this the kind of God we want?” Actually, let’s forget that question. I think the higher question is “Is this the kind of God that we have just because of our whim, our capriciousness?” There is no reason in our insanity. I think A Course In Miracles is asking us to be logical and sane, just for a minute. If this is the kind of God that we have manifested simply out of our whim and capriciousness, then we have a capricious, sociopathic god. If we believe that nature is divine then were going to have to go the reconcile that God must be sociopathic. The A Course In Miracles says, “‘And the last to be overcome will be death.’ Of course! Without the idea of death, there is no world. All dreams will end with this one. This is salvation’s final goal, the end of all illusions.” (Mn.Or.Ed.27.6) The last illusion that we’re going to overcome is death. So we don’t have to be hard on ourselves if we still believe death to be real. We may be overcoming lots of other illusions. Were going to have to overcome lots of other illusions first. There is the illusion that we are separate from our brothers and sisters. There’s the illusion that we can’t come to peace with a particular brother or sister. We must learn how to do these things first. We must learn how to offer illusions up to the Holy Spirit and ask for guidance. We learn how to practice true forgiveness. We then see that we can heal our relationships and that the illusion of separation was not real. Those are the things I believe most of us are working on, and we get glimpses of what is true. I don’t think that we should beat ourselves up too much for still believing in death, because the Course says that’s the last illusion that were going to overcome. Since we’re still here, we still believe in death. We’re working on it and the very fact that we do appear to be here means that we have not licked this last illusion yet. Were still working on it. We don’t have to feel bad about believing in death. It’s going to be the last thing that we heal. Its going to be the last limitation that we overcome. The A Course In Miracles says, “Do not despair, then, because of limitations. It is your function to escape from them, but not to be without them. If you would be heard by those who suffer, you must speak their language. If you would be saviors, you must understand what needs to be escaped.” (Mn.Or.Ed.26.4) So we don’t have to despair about living in this illusion where death seems real. It can be looked at as a helpful thing. Believing in death can be something we can use to communicate with other people. It can be something that we can use to learn that its our task to escape from death. Our work is to escape from it, and we do this work with all our brothers and sisters. We’re not doing it alone. So that leads me to the third insight that I had about death this week.Our work here is to overcome death. That is what we’re working on. I don’t have to have to completed that job. Its obvious I haven’t completed that job. It’s obvious none of us have completed that job and that can be embraced. Its just our job, our work, our occupation. Now, when I think about Ed McMahon, Farrah Fawcett Majors, and Michael Jackson I remember the truth. They didn’t actually die this past week. They became immortal. That’s what happens to them. They had a life and story before. Now they just have immortality. Everything about them becomes iconic. Its really interesting. The A Course In Miracles says, “Those who fear death see not how often and how loudly they call to it and bid it come to save them from communication. For death is seen as safety, the great dark savior from the light of truth, the answer to the Answer, the silencer of the Voice that speaks for God.” (Tx.Or.Ed.20.84) So we seem to fear death, but what we actually do is call to it all the time. We revere it; we respect it. Look what’s going on in the media. I know some of you don’t watch the news as much as I do but its incredible. There is no other news. Its three days after Michael Jackson died and its like the world stopped. What happened to all those other things that were going on in the world. There has been nothing else to report on. We revere death; we respect it. It fascinates us. We spend a tremendous amount of time holding it up as something sacred. As I said, death has dominated the news. The Iran election, which had been a big news story right before Michael Jackson’s death – there were riots going on there – the interest in Iran just dissolved. Nobody cared about Iran anymore. The only thing that we cared about was Michael Jackson and seeing photo montage, after photo montage, after photo montage on how he changed from a young, little black boy to a very bizarre looking, pasty white androgynous, strange man with a deformed nose. We just wonder about that. What was all of plastic surgery about. This all leads to my forth insight. We revere and respect death. I think this week has shown us how much we do that, how much our culture does that, how much are society does that. As I said, A Course In Miracles says numerous things about death. I liked this one, “Yet the retreat to death is not the end of conflict. Only God’s Answer is its end. The obstacle of your seeming love for death that peace must flow across seems to be very great.” (Tx.Or.Ed.19.84) Again its telling us how great this obstacle is – this last illusion – and quotation also defines death as a retreat. We retreat to death. Why do we retreat to death? The only thing I can think of is because life seems overwhelming. Life seems too much. We want to stop battling what we think is life, this illusion of a battle in life. We don’t want to be in this battle anymore, so we retreat from this so called life battle. We retreat into this thing called death. That’s what this passage is teaching us. It is an important thing to keep in mind. That is what I have listed down as my insight number five. Death is a retreat from life. Life can only be had, can only be embraced, by advancing. We have to advance in life. We have to advance into all of life’s issues and the problems which can seem extreme. We have to keep advancing and walking through them, but we walk through them knowing that the Holy Spirit is our guide. We advance in life, and we don’t retreat to death. Here’s another death quotation. “Death is a thought which takes on many forms, often unrecognized. It may appear as sadness, fear, anxiety, or doubt; as anger, faithlessness, and lack of trust; concern for bodies, envy, and all forms in which the wish to be as you are not may come to tempt you. All such thoughts are but reflections of the worshipping of death ....” there’s that idea again, “ ... as savior and giver of relief.” (Wk.Or.Ed.163.1) I love this quotation because it reinforces the fact that we do worship death. This is the best press Michael Jackson has had in years. Maybe it is the best press he has gotten in his whole life time. Not only do we worship death but we worship death every time we buy into sadness, fear, anxiety – anytime we buy into anything negative at all. I do this a lot, but every time I do I have to remember that I am worshiping death. I have identified this as my sixth insight. We worship death every time we accept negativity. We can’t just brush off negativity and think that it is not a big deal. Its death we’re worshiping, and its death we’re calling forth. Its death were evaluating to be this great way of retreating from life. The last insight, number seven, is just something that comes from common sense. Insight number seven about death is, thank our brothers and sisters while the are still alive. Offer some real love and gratitude while they’re still here. It will do us lot of good. It will probably do them a lot of good too. However, I was mostly thinking of the selfish reasons. It would do me lot of good to extend something positive. A Course In Miracles says, “It is impossible to overestimate your brother’s value.” (Tx.Or.Ed.20.39) All of our brothers and sisters have tremendous value in our lives, and its impossible for us to overestimate that. In another place the Course says, “Only appreciation is an appropriate response to your brother. Gratitude is due him for both his loving thoughts and his appeals for help, for both are capable of bringing love into your awareness if you perceive them truly.” (Tx.Or.Ed.11.6) We’re always supposed to appreciate our brothers and sisters regardless of what they appear to be giving us, and its impossible to overestimate there value. As high as we think their value might be, we’re still underestimating it. Again, thank your brothers and sisters while they are still here. The are great gifts to all of you. 2) If we make death real then God becomes, rough, mean, harmful, and actually sociopathic. 3) Our work here is to overcome death. That’s our job. 4) We revere and we respect death. 5) Death is actually a retreat from life. We are retreating from the life that we think is overwhelming. 6) We worship death every time we except any negativity at all into our lives. Each negative thought is a symbol of the worshiping of death. 7) We should thank our brothers and sisters while there are still here. It will help us. It will help them, but it will tremendously help for us. This article appeared in the September 2009 (Vol. 23 No. 7) issue of Miracles Monthly. Miracles Monthly is published by Community Miracles Center in San Francisco, CA. CMC is supported solely by people just like you who: become CMC Supporting Members, Give Donations and Purchase Books and Products through us.